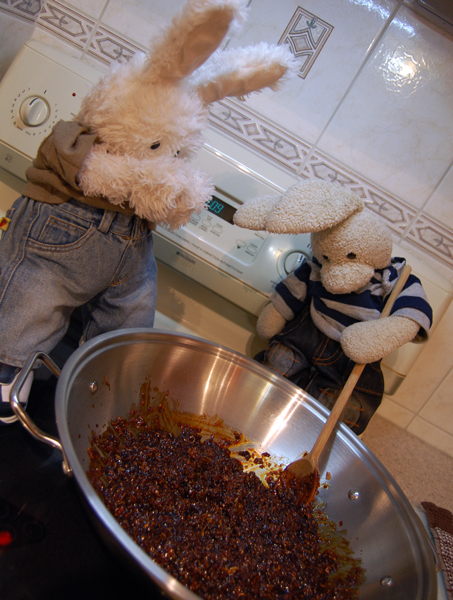 Zackary: let sit off heat 4 da onions2 soften.heat& add spices & stuff.. #cookinwifrabbits #cooking Rufus: SMELLS SPICY!! MY EYES!! Zackary Rabbit Don't push Rufus Rabbit into the pot!!! !